Did you know that the UK has over 250 species of bees and that the majority of them don’t live in hives but live their lives alone? 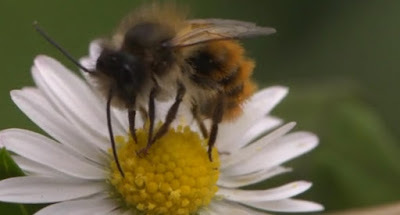 This wonderful documentary by Team Candiru follows first Red Mason Bees and then others as they struggle to find resources, avoid death and create new life. If you love nature the next seventeen minutes are going to seem like a few seconds. Enjoy! Plus if you want to learn more about the bee hotels included in this documentary then whey not visit our feature article on them?